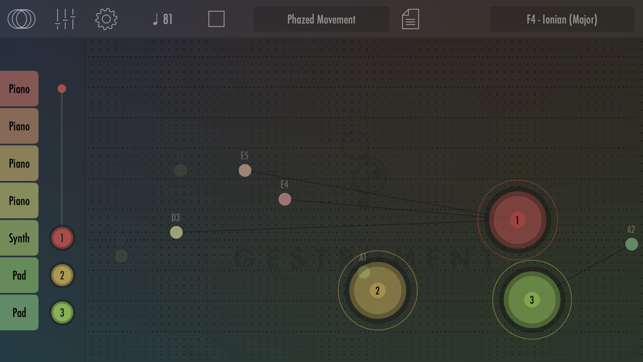 Play, improvise and compose in real-time within a framework of interactive generative musical systems. Award-winning composer Jesper Nordin and leading iOS developer Jonatan Liljedahl (Kymatica) has completely re-invented their unique app from 2012 and taken the concept to the next level. 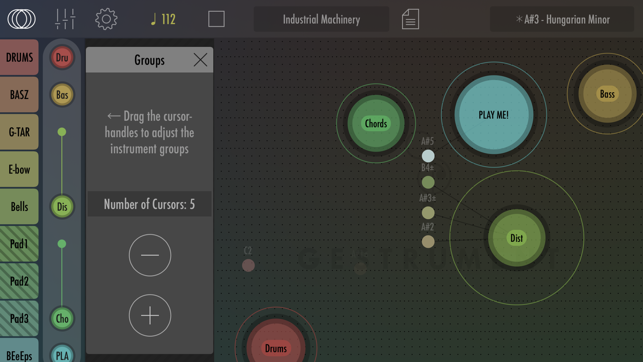 Gestrument Pro takes everything we loved about Gestrument and improves on its original functionality while introducing a host of new features such as multi-touch, recordable automations, advanced scale editing and our unique system of highly tweakable modular generators that define the pitches and rhythms. With Gestrument Pro you can Play, Improvise and Compose music with deeper levels of personal expression than ever before. • Up to 16 individual Instruments. 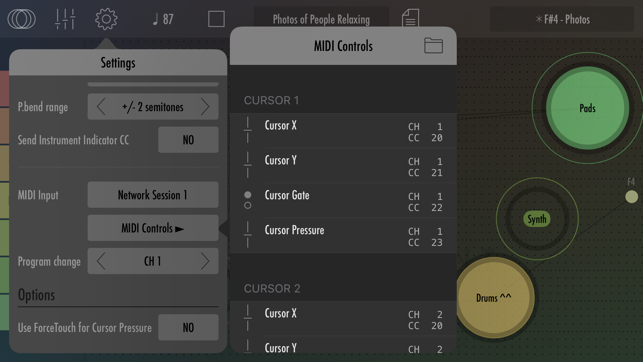 • Each Instrument can be controlled by any of up to 8 Cursors. 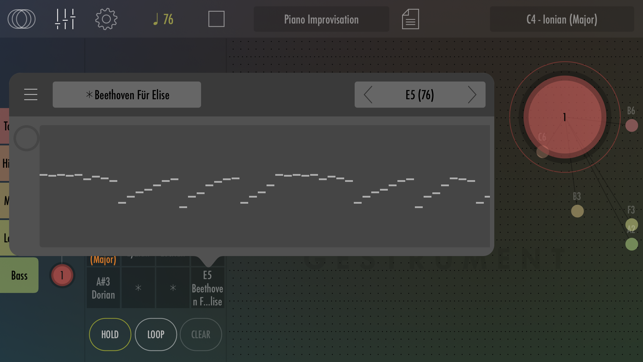 • Instruments can use internal high quality sounds or play other synthesizers or apps via MIDI. 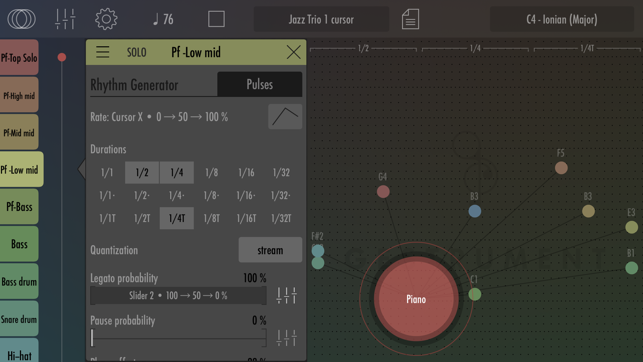 • Modular swappable Generators for producing the rhythms and pitches per Instrument, each with their own set of tweakable parameters and settings. • 8 performance sliders that each can control one or more parameters in the Instruments and their Generators. • A highly flexible modulation system allows assigning Sliders and Cursor position/pressure to any parameter in the Instruments. 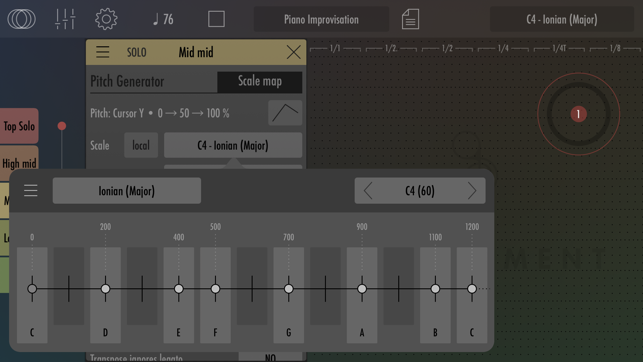 • Advanced microtonal Scale editor with several standard scales included. • 8 Scale Slots for fast switching between scales and tonalities during performance. 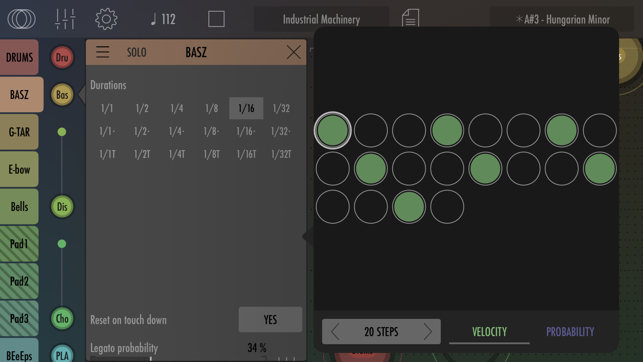 • Sliders, Cursors and Scale Slots can be recorded into automated loops, or controlled via MIDI. 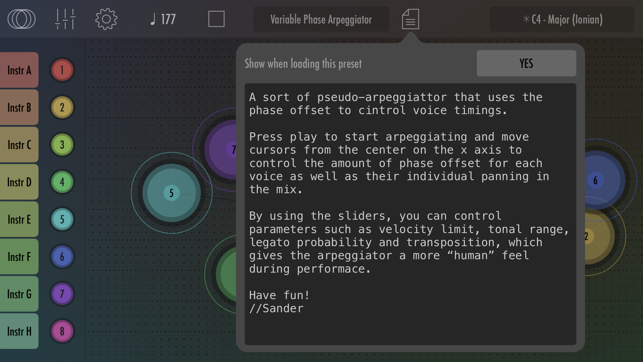 • Supports Inter-App Audio and Audiobus, including host sync for following the hosts transport and tempo. 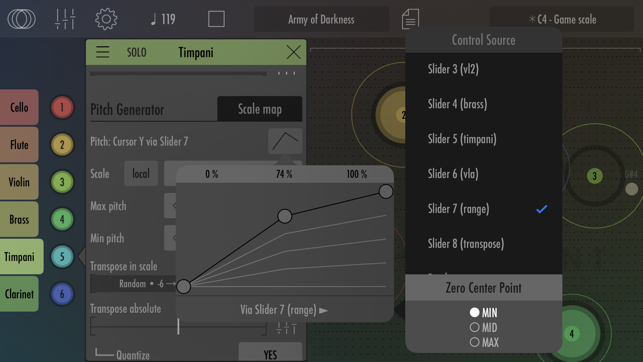 • Fix crash when switching from generator with mapped transpose-absolute and then closing instrument editor. • Enable Bluetooth audio and AirPlay. 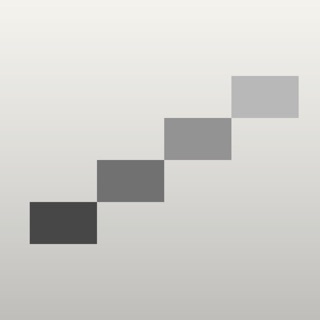 • Fix the included Default midi mapping. • Added two new presets. • Fix minor typos in Users Guide. • Allow recognition of EXS user files (experimental). Well, just blow me away why don’t you! This is one of the most original apps I have ever bought!!! I saw the Y.T. Video of Doug from the Soundtestroom...and just pre-bought it immediately! I especially love the full orchestra preset. You don’t even have to really know what you’re doing to play with it. It draws you in to learn more about it. We need some tutorials on Y.T. to know it’s intracacies and how to set it up for our own creations. Watch Doug’s Video and you will probably buy it right away! This is a very simple and awesome sounding machine. I’m a truck driver learning the fundamentals of recording engineering and I made several songs using various apps on my iPad. I find this to be simply amazing and I look forward to adding it to one of my single releases. I bought it before the release so I took advantage of the low cost and I’m glad I did. Before purchase look at the tutorial by Disscord on utube to see if it’s for you. I swear the reason I was excited for this was Ableton Link being on the menu. I guess I was wrong. Hi, we are glad you like the app! Ableton link is supported through hosts like AUM or AB3, and it is on our list for possible features to include it in the app itself as well.